“One day, my father came home with a shoebox filled with old, compacted letters…” — this is how we meet acclaimed author Andrea di Robilant, whose “A Venetian Affair” became an international bestseller. Di Robilant researched the story of Andrea Memmo and Giustiniana Wynne’s love and filled in the blanks; then a chance meeting several years later in Cantinone gia’ Schiavi, one the bacari favored by Venice’s locals, led to the creation of a pastiche of 18th-century love and passion, enhanced by music of the time. “A Venetian Affair” tells the story of the love affair between Andrea Memmo, the scion of a great Venetian family, and Giustiniana Wynne, an Anglo-Venetian of illegitimate birth. They could not hope to marry, but the letters that form the backbone of the story, discovered in the attic of the palazzo where di Robilant’s father grew up, show their courage in attempting to defy the Venetian authorities, as well as their efforts to meet and be together, in the midst of a picturesque portrayal of Venice of the time. 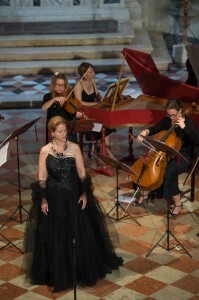 This pastiche, a collaboration between di Robilant and Venetia Antiqua Ensemble, is unique in that the author himself, a descendant of Andrea Memmo, is an integral part of the show, narrating the story and reading from the letters. And besides old favorites, the musicians are bringing back to light the long-forgotten superstar composer of the period, Johann Adolf Hasse, who, with his wife, the famous opera star Faustina Bordoni, was a friend and accomplice of the lovers. 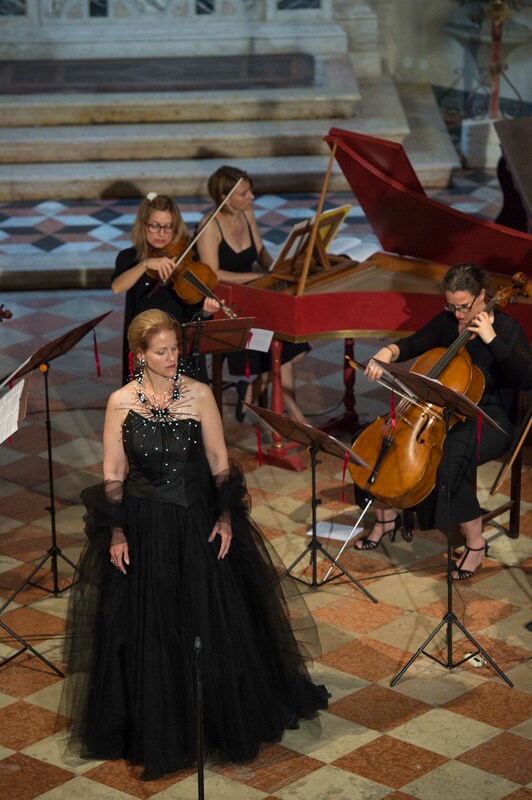 The music is spirited ly performed by Venetia Antiqua Ensemble, a collaboration of founding members of the world-renowned Venice Baroque Orchestra and the American soprano Liesl Odenweller. The ensemble performs on period instruments, and has dedicated itself to preserving Venetian music of the Baroque period and the performance practices of the time, which have all been scrupulously researched and studied.